Here at Natural Transplants, you’ll find the reason we have such happy patients is because of our patient-focused philosophy. 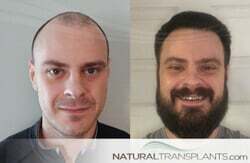 Not only do we believe in building honest relationships, we approach hair transplantation by focusing on three specific factors: our hair implant techniques, patient care during hair loss treatment and competitive hair transplant costs. We believe that the process of hair loss treatment should be simple and easy-to-conceptualize while yielding world-class results with our High-Yield Unit Extraction® Method. 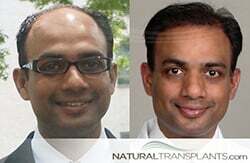 We believe that a hair transplant should appear natural and should be indistinguishable from non-transplanted hair. With our exclusive HUE (High-Yield Unit Extraction®) Method we anticipate future hair loss by moving the most hair possible for each patient. Word of-mouth has always been our best marketing tool for obtaining future patients. And why do our patients refer us other hair loss patients? For starters, there are no hidden costs, no requirements to purchase products and every patient is treated as a true VIP. Our world-class results are achieved by focusing solely on you during the hair loss procedure. Unlike other companies that book upwards of seven patients at a time for a single doctor, our patients have their very own hair doctor dedicated to their hair loss treatment and restoration. Dr. Matt Huebner, Dr. Harold Siegel, Dr. Jaime Rosenzweig, Dr. Kevin Blumenthal and our staff ensure that every detail is perfect and your doctor is involved with the entire procedure from start to finish at our facilities. 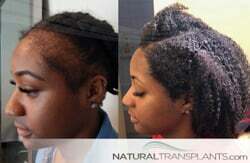 Our staff at Natural Transplants are dedicated hair restoration technicians based in the local and solely focus on helping hair loss patients. 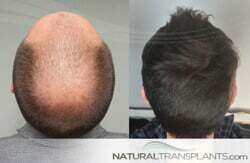 Let us show you why we are different and the ONLY choice for your hair transplant surgery. We will ensure that your day is easy, relaxing and enjoyable. But don’t just take it from us—talk with our many happy hair transplant patients. 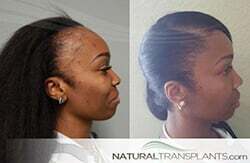 Let us show you our Natural Solutions and Proven Results. Call us now at 844-327-4247 to schedule your free consultation with an expert hair doctor! We employ highly-trained, licensed medical doctors, Dr. Matt Huebner, Dr. Harold Siegel, Dr. Jaime Rosenzweig, Dr. Kevin Blumenthal and technicians with years of experience, focused ONLY on performing hair transplants. 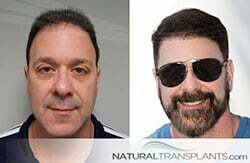 Dr. Matt Huebner, Dr. Harold Siegel, Dr. Jaime Rosenzweig, and Dr. Kevin Blumenthal of Natural Transplants can achieve up to 6-7 hairs per graft; significantly more than competitors with our cutting edge HUE procedure. 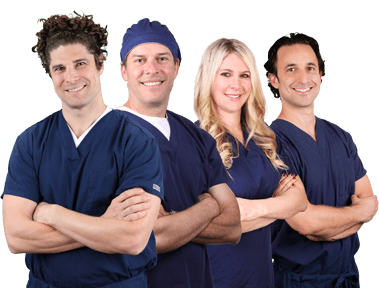 We guarantee Dr. Matt Huebner, Dr. Harold Siegel, Dr. Jaime Rosenzweig, Dr. Kevin Blumenthal and our technicians will give you focus and attention during your procedure. 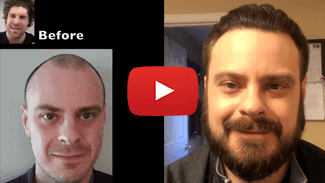 With our exclusive HUE (High-Yield Unit Extraction®) Method we can achieve 30% more density in a single procedure for hair transplant patients who are Norwood Class 7. Using our efficient HUE Method we can complete a procedure in under six hours with more than 95% of grafts surviving & become permanent.